Load and Unload Your Deck Oven With Ease! Empire PSA Oven Loaders, available in semi-automatic and fully automatic models, are the perfect compliment to our complete line of stone hearth deck ovens. The Semi-Automatic PSA-1 utilizes an advanced counterweight system to raise and lower the mechanism smoothly, while the Fully Automatic PSA-2 features state-of-the art motorized lifting controls to maneuver at the push of a button. 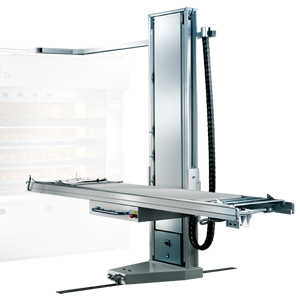 Both models eliminate the need for hand peels and manual setters, making the loading and unloading of breads, rolls and pan goods a snap. 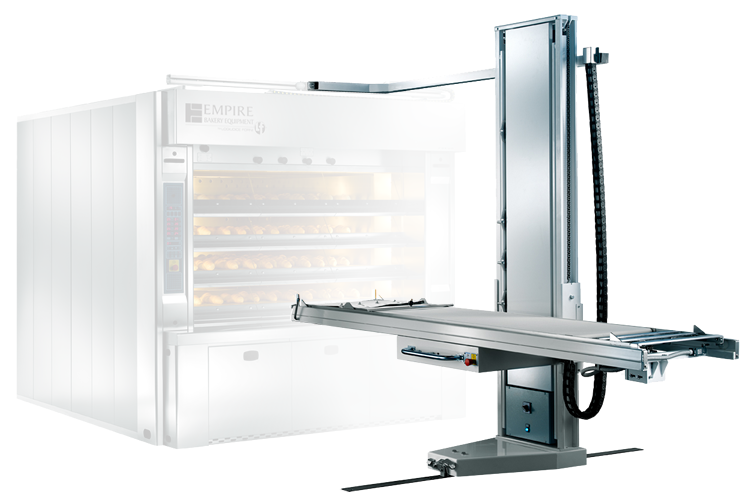 When you need to increase the efficiency and productivity of your oven, count on an Empire PSA Oven Loader! Simplifies oven loading and unloading. Perfect for breads, rolls and pan goods. 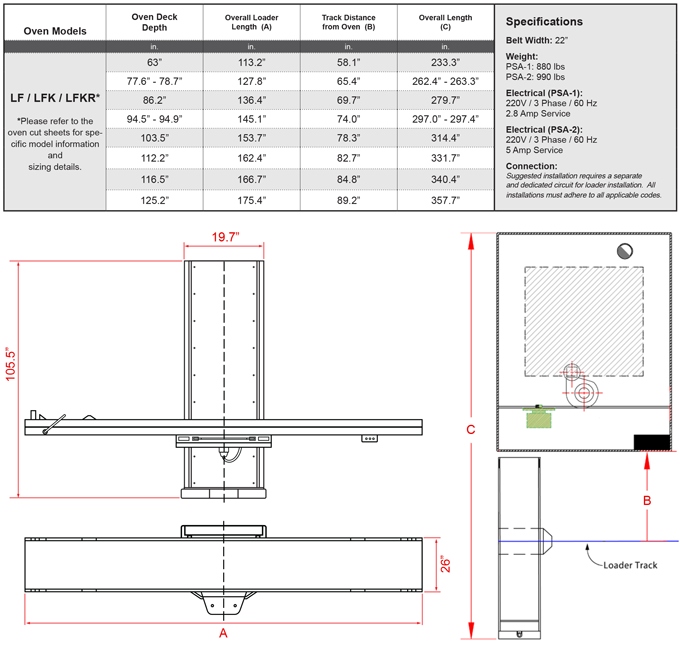 Fits all LF, LFK and LFKR oven models. Eliminates the need for hand peels and manual loaders.